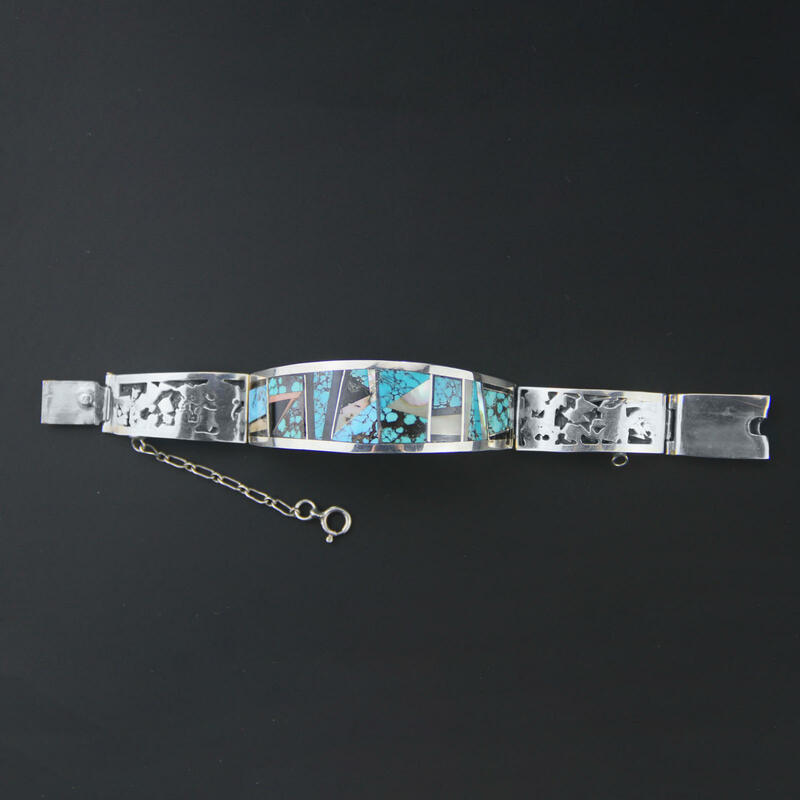 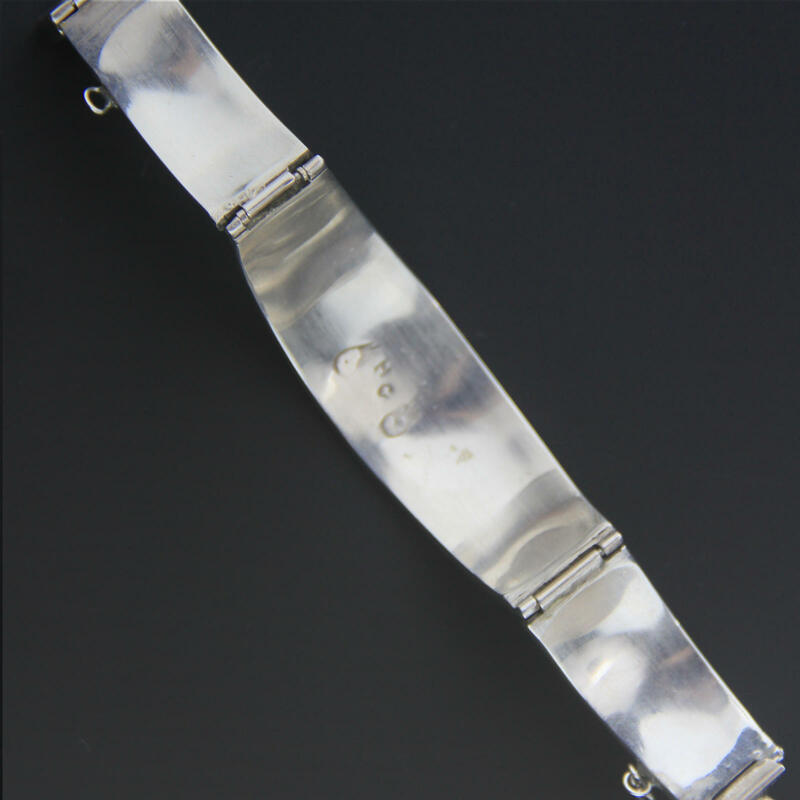 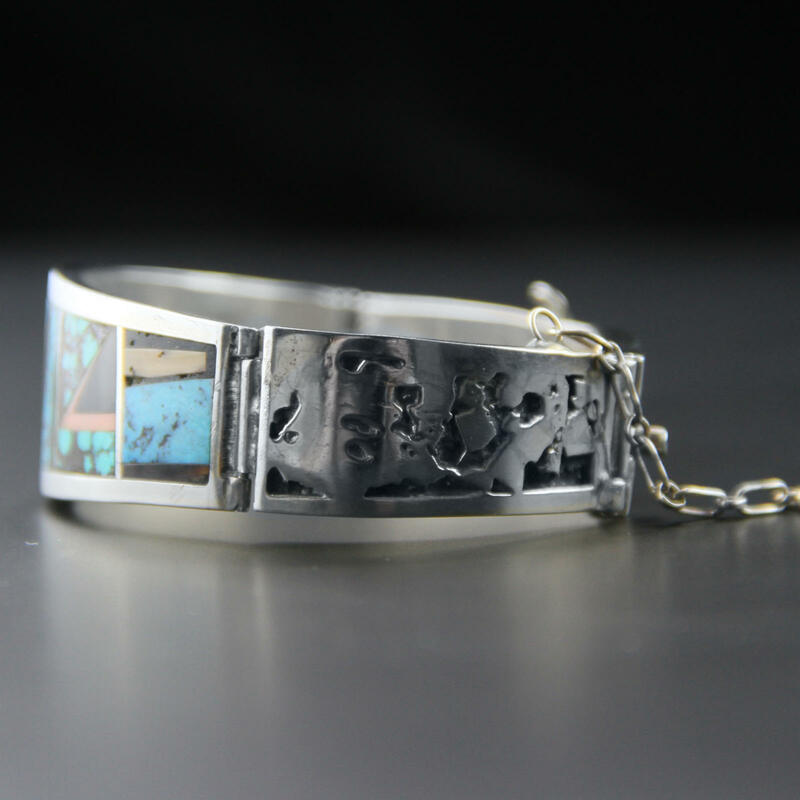 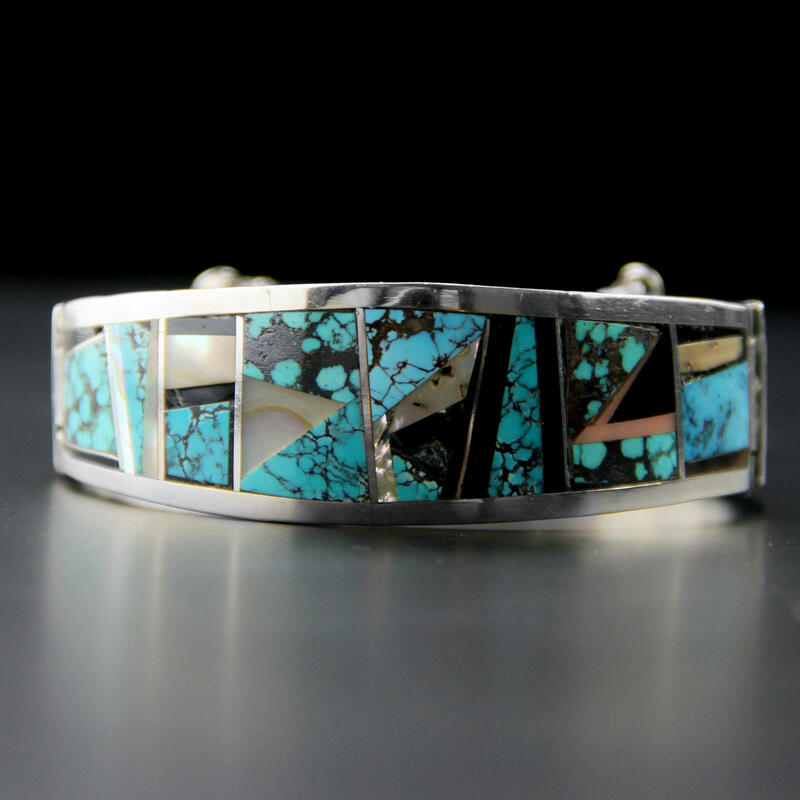 High quality handmade circa 1970's - 80's inlay bracelet. 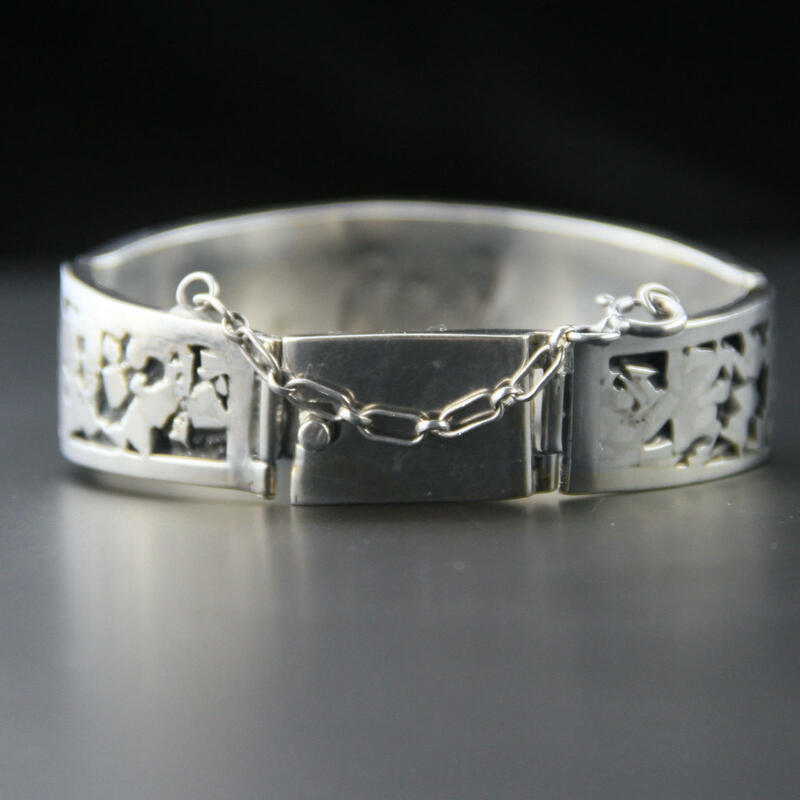 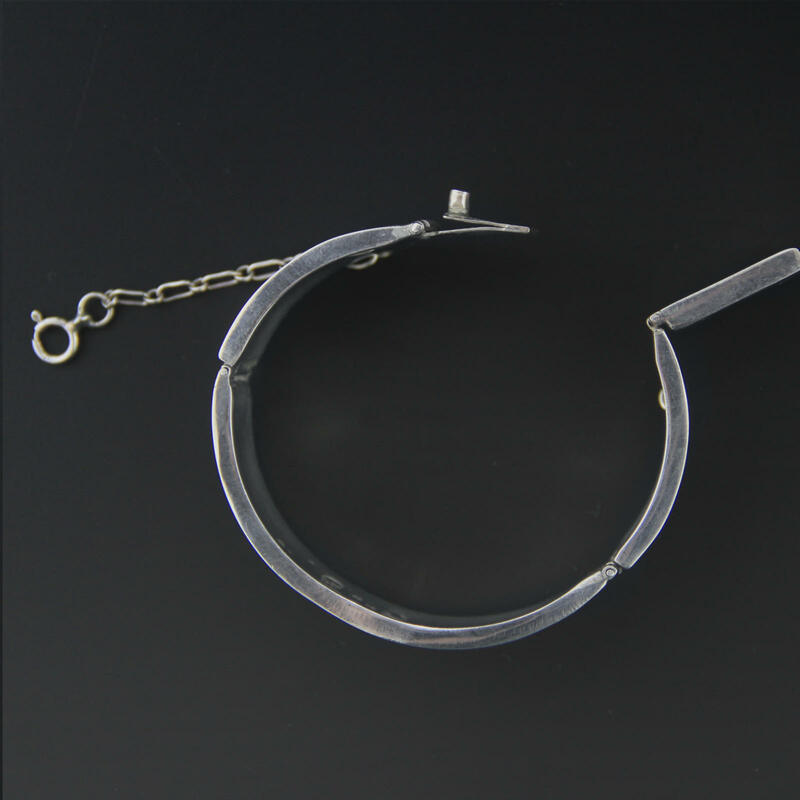 A heavy gauge of silver, secure tab clasp and handmade safety chain. 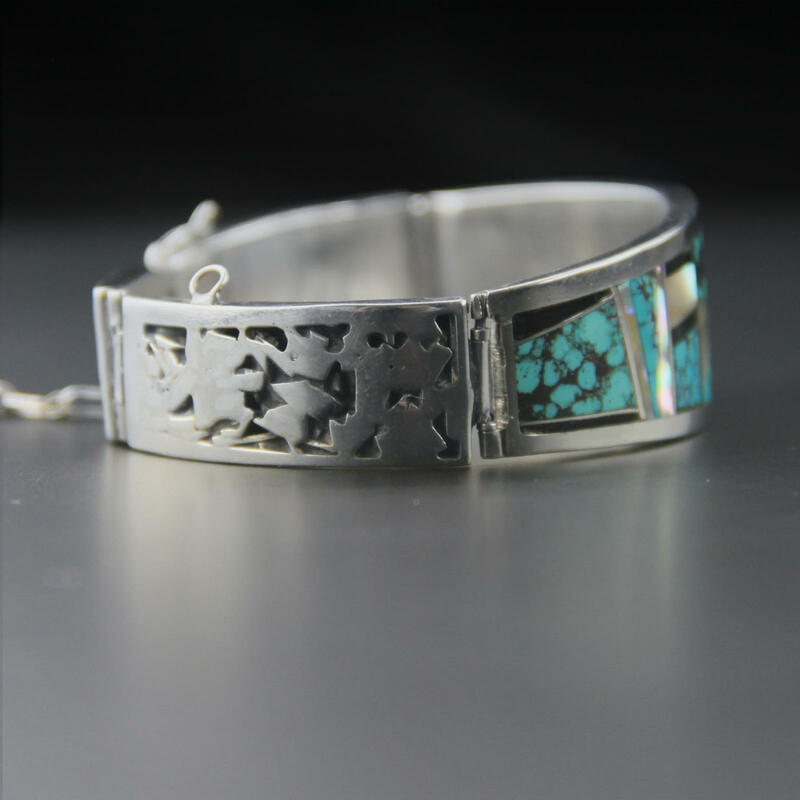 Beautiful inlay of spiderweb turquoise and abalone, cutowk along the sides, has a nice smooth age finish, high quality Native American bracelet.